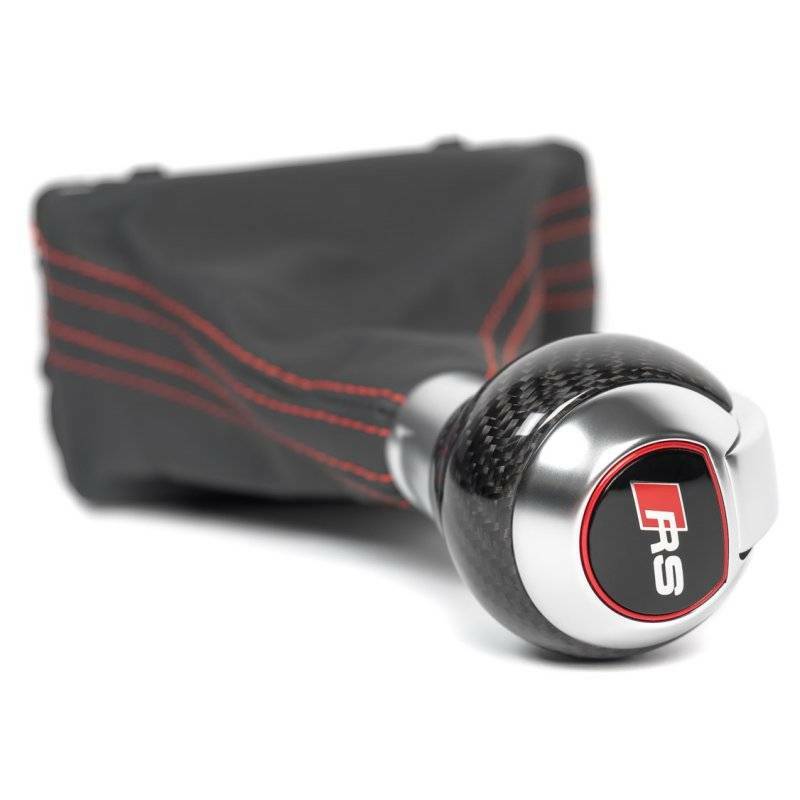 Carbon fiber trimmed round shift knob features a front mounted shift button. This means no modification when installing into post-facelift C7 models. The shift boot comes standard in black leather with cliff grey or mercato blue stitching standard on the shift boot. Custom stitching is available to be added. Available with an S-Tronic or RS logo. 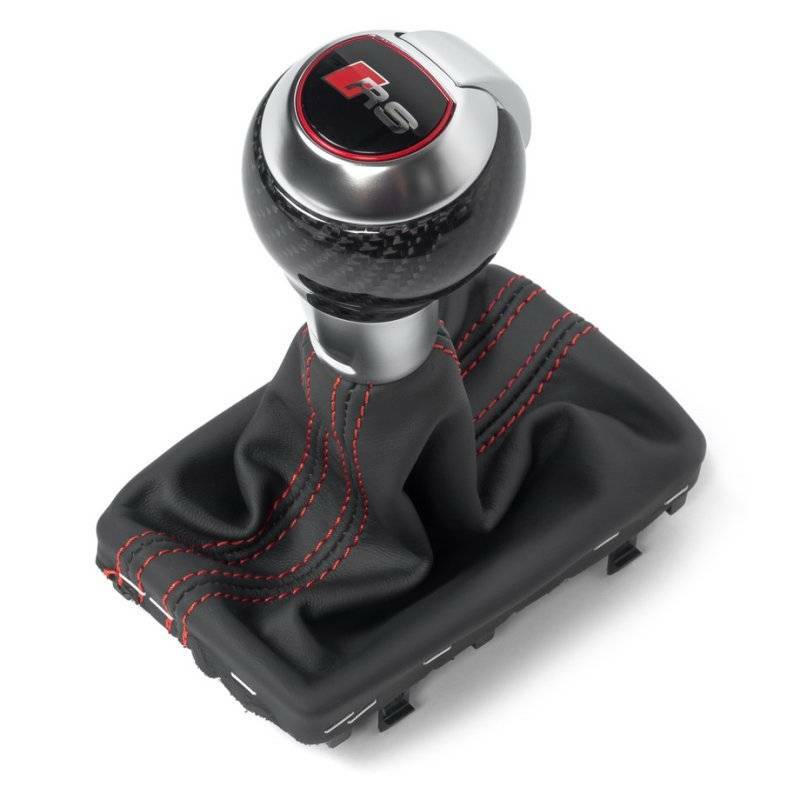 *Note the front mounted shift button means that for models with shift buttons on the side must perform a heat and twist of the shift pin (90 degrees) for installation.